As far as documents show Anna"s (I don't mention the name to avoid repeating useless sound) farther got in trouble with German authorities not because of the shape of his ...nose but because he was dishonest in his strictly business deals with Wehrmacht. He was a supplier of blood plasma to German army in his free time. His full time job was to write the memoirs. Boring but I menaged to learn a lot. For example:entrapment is legal in Australia and can't be used as a defense. Few months before my arrest two different fellows paid me a visit. I fall for the first trap because I would never ever suspected that toys could be illegal and -thanks God-told the second one to go to hell. He was stubbornly visiting me for almost 2 months. Only in jail I learned that to charge me with "conspiracy to import prohibited etc" even few words like"good idea..how can we do it" was sufficient to charge me. I ve got arrested few days after I told this Asha-the Assyrian-once again to go to hell and stay there. I learned as well that prison industry is huge and always hungry hence people are locked left,right and center to keep the business going. Few days ago,after keeping her for almost 3 years on bail they sentenced my wife to 2 years in jail with minimum not parole time of 9 months!! It looks that they were waiting for me to get out to lock her in. Even during the 2 months since end of my holidays we couldn't live together because of my parole and her bail conditions. Australia now is a police state.Even SLINGSHOT is illegal here if factory made. Everything invented in the world to protect the woman even tiny pepper spray is illegal. "You don't need guns to defend your self. You don't need fire extinguisher. Before my wife was waiting for me now I will wait for her. And only because she is my wife she is persecuted. She never had anything to do with buying or selling the BB guns. But she lived under the same roof and for legal mafia here it is an equivalent of guilt. You are hereby challenged to prove that Otto Frank arrest was for any other reason but being jewish. Maybe his two children where arrested because they had dealing with the Wehrmacht as well ?? sorry but it sounds like a cheap lie same as the claim that he wrote the memiors that was already disproved by several courts. onetruth wrote: You are hereby challenged to prove that Otto Frank arrest was for any other reason but being jewish. Maybe his two children where arrested because they had dealing with the Wehrmacht as well ?? sorry but it sounds like a cheap lie same as the claim that he wrote the memiors that was already disproved by several courts. You are hereby challenged to show us the verbatim transcripts of these "several courts" procedures. Please show us the methodology used, the evidence presented, and any and all statements by those involved. I also notice you dodged my earlier posts which displays the various and laughably different handwriting found in this "diary" and damning information. Hannover wrote: ... the issue is the forged / faked nature of her 'diary'. I suggest you read the posted links, especially by Faurisson. Summarising its findings, the Anne Frank House said: "The question has always been: Who betrayed Anne Frank and the others in hiding? This explicit focus on betrayal, however, limits the perspective on the arrest." Shortly before the raid, an anonymous caller supposedly revealed details of the secret annexe to the Sicherheitsdienst or SD (German Security Service) - but the study's authors have questioned this account. Using Anne's diary entries from March 1944, researchers found that ration coupon fraud and illegal working activities may have triggered the fateful raid. From 10 March 1944, Anne repeatedly wrote about the arrest of two men who dealt in illegal ration cards. She called the pair "B" and "D" - which stood for Martin Brouwer and Pieter Daatzelaar. 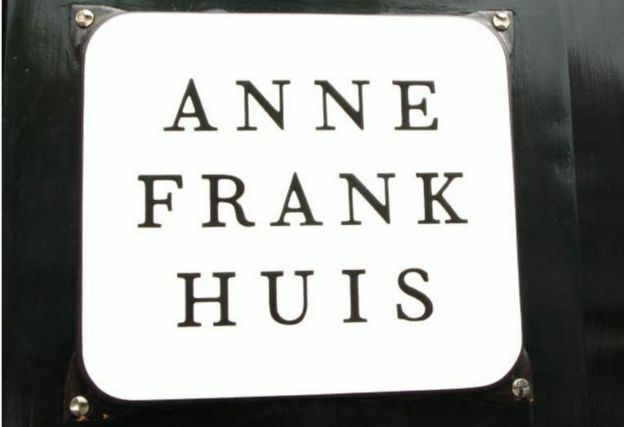 The pair were salesmen for a firm based at Prinsengracht 263, where Anne's father Otto Frank also had his business - and where the family went into hiding. Anne writes on March 14: "B and D have been caught, so we have no coupons..."
The study also notes that the police spent over two hours at the property - longer than it should have taken to arrest those cornered in the annexe. Other evidence shows that people linked to Prinsengracht 263 had been punished by the Netherlands' Nazi occupiers for evading work. "A company where people were working illegally and two sales representatives were arrested for dealing in ration coupons obviously ran the risk of attracting the attention of the authorities," the researchers wrote. The young writer ultimately died of typhus in the Bergen-Belsen concentration camp, aged 15, just weeks before its liberation. Her father Otto was the only one of the annexe's eight occupants to survive World War Two. Would be great, if we could get a copy of the complete file for examination. Vincent Pankoke is a former FBI agent who is now interested in finding out who actually betrayed Anne Frank. He is calling it a "cold case" and trying to raise funds to discover who it was. But will he admit that black marketeering and ration card fraud by Otto Frank and others is what actually drew attention to their whereabouts leading to an investigation in the first place ? Mortimer wrote: Vincent Pankoke is a former FBI agent who is now interested in finding out who actually betrayed Anne Frank. He is calling it a "cold case" and trying to raise funds to discover who it was. But will he admit that black marketeering and ration card fraud by Otto Frank and others is what actually drew attention to their whereabouts leading to an investigation in the first place ? "In fact, there are clear indications that the Germans viewed Otto Frank as a petty criminal. When the Franks arrived in Westerbork, they were registered and divided among the different punishment barracks. 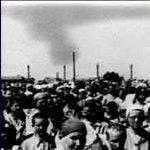 More important, not all detainees at Westerbork were sent to Auschwitz. 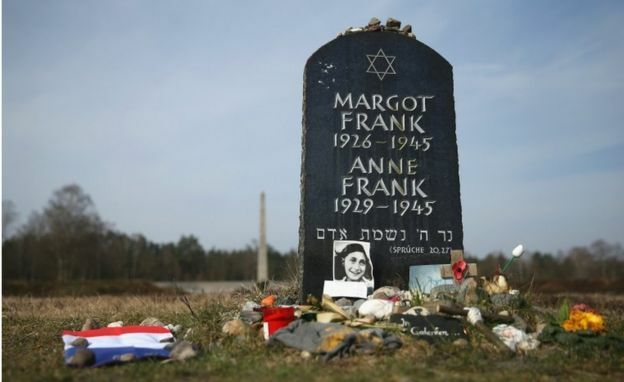 Of the last 5 transports out of Westerbork, only one went to Auschwitz; that was the September 3, 1944 departure with the Frank family on board. 2,757 other detainees were sent to Bergen-Belsen or Theresienstadt and 876 more detainees remained in Westerbork until liberation. In fact, a large train with 2,087 detainees left for Theresienstadt on September 4, 1944, the day after the Franks were sent to Auschwitz. Why wasn’t Anne Frank on the Theresienstadt train? " A relevant larger question is, If there was a German conspiracy to murder all European Jews why were more than half of the Westerbork detainees NOT sent to Auschwitz. A great fund raising line but, but what happened to Vince Pankoke and the $5,000,000 he was trying to raise? I don't mean that Mr. Pankoke is a crook like Otto Frank. But doesn't he think that he owes all his contributors an accounting of what he found out re the betrayal of Anne Frank? As his fund raising pitch pleas, To remain independent and impartial, we rely on funding from a wide variety of sources. Your help enables us to continue our search for the truth. OK, Mr. Pankoke, CODOH gave you some very clear information that it was the Shady Otto Frank and his dealing in Food ration coupons and black market items which caused the police visit to Prinsengracht 263 . Ok Mr. Independent, did you ever follow our lead and check with the Westerbork detention center for camp and train records.? Did you ever figure out why Anne and her sister were transferred out of the "Extermination Camp of Auschwitz and brought back to Germany? Instead you continue to post clear inaccuracies on your web site, "Anne, her parents, Otto and Edith, and her older sister, Margot, were forced to leave Germany because of the growing anti-Semitism in Germany after the rise of Adolf Hitler and his Nazi party." No, Otto and his older brother Robert had left Germany before the National Socialists came to power; Otto for the US in 1909 and Robert for France in 1930. Otto did return and, in the 1920's, 1930's, and the 1940's engaged in various petty criminal affairs. He bankrupted his family's business, married Edith Hollander for money and bankrupted her family business in the 1920's, worked for a Germany food company, stole their client list in Holland , and, with the help of brother-in-law Erich Elias got a job with Opekta selling their products in Holland. Along the way there were several affairs, some with Opekta employees, particularly Jetje Jansen. When the Germans came to Holland, he collaborated with the Nazis but also dealt in various black market activities. 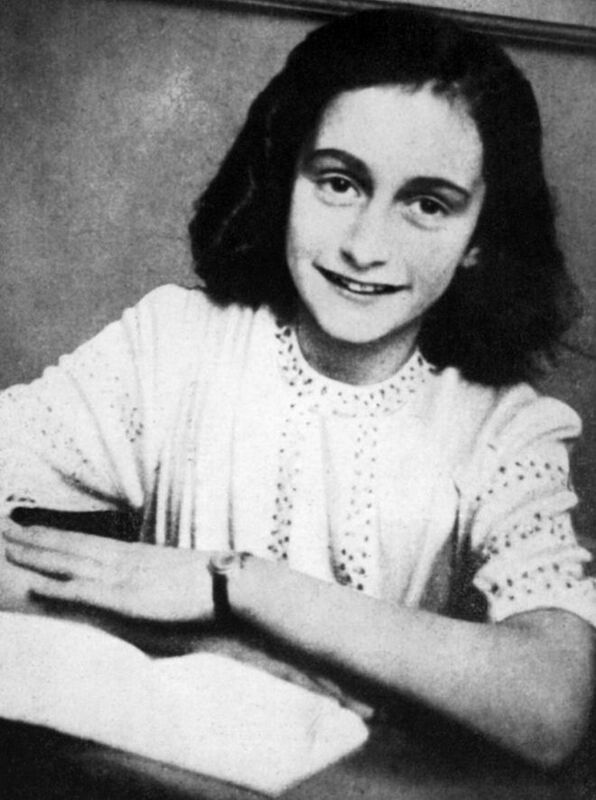 One might excuse the criminal acts during wartime but they were part of a life-long pattern with Otto Frank, and, while none of what Otto did justifies the tragedy that befell Anne, it was Otto Frank who caused Prinsengracht 263 to be visited by the police. It was also Otto's criminal acts that caused the Frank family to be sent to Auschwitz rather than Theresienstadt or Bergen-Belsen or left in Westerbork. After the War Otto went on to launch the one business success in his career, the Anne Frank Exploitation Industry, a business that twists and exploits the tragedy that happened to Anne Frank and has grown and grown rich. I bet that you have followed the CODOH leads and figured out that Otto Frank was the shady little crook who caused Anne Frank to be deported. But instead, you cover up for the perp. and his corrupt heirs...Do you see yourself as impartial or part of the corrupt exploitation of Anne Frank, Mr. Pankoke?